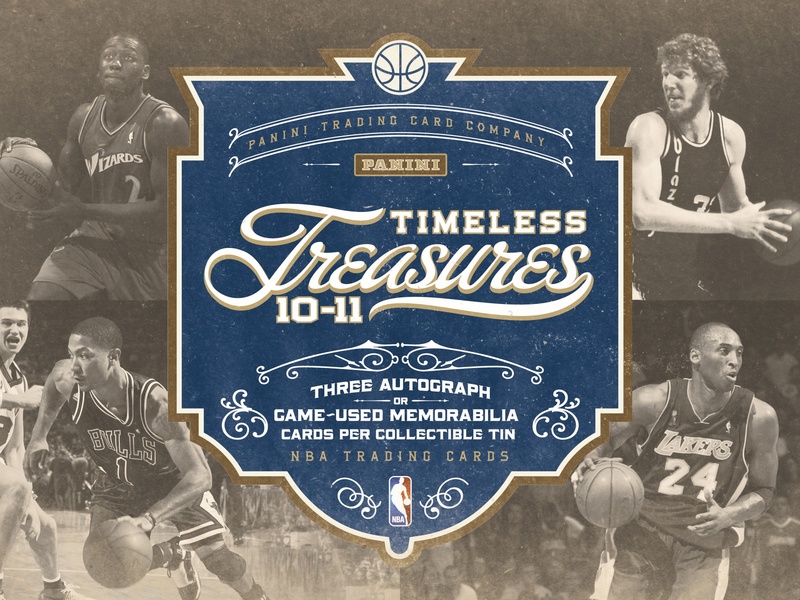 Timeless Treasures returns to the hobby hardwood this December packing plenty of hobby heavy hitters into each high-end 1-pack box. 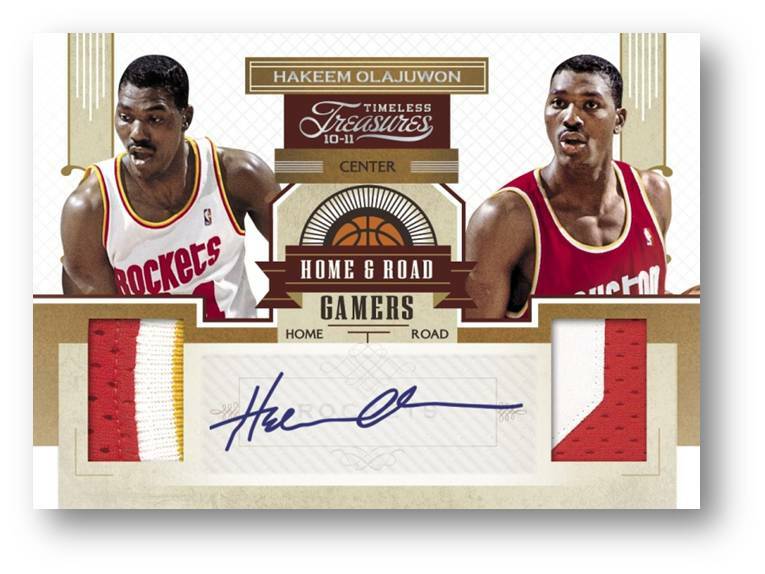 Treasures offers collectors a seamless mix of old school and new school players with plenty of autographs, relics, one of ones, and other intriguing hits per $100 hobby box. 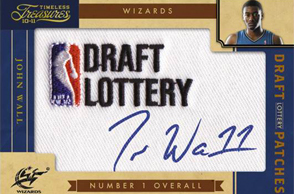 Exclusive Autographs of Kobe Bryant, John Wall, Wesley Johnson, and Brandon Jennings! More than 300 1-of-1 cards! Rookie Year Materials - Featuring current stars with their rookie campaign jersey swatches and autographs. 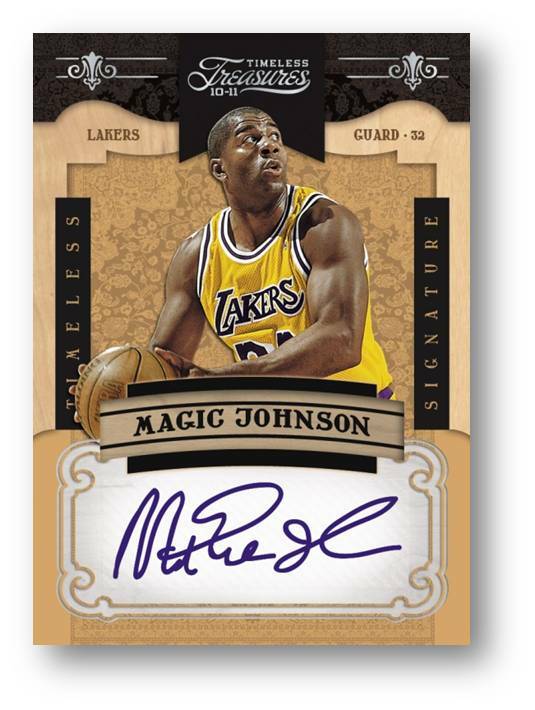 First-ever memorabilia card pairing game-used material of Lakers legends and Hall of Famers George Mikan and Kareem Abdul-Jabbar, with Prime versions #'d to 5! Autographs of today's top players such as Derrick Rose, Amar'e Stoudemire, Joe Johnson, Chris Bosh and Tyreke Evans as well as newest HOFer Scottie Pippen and future HOFer Allen Iverson! 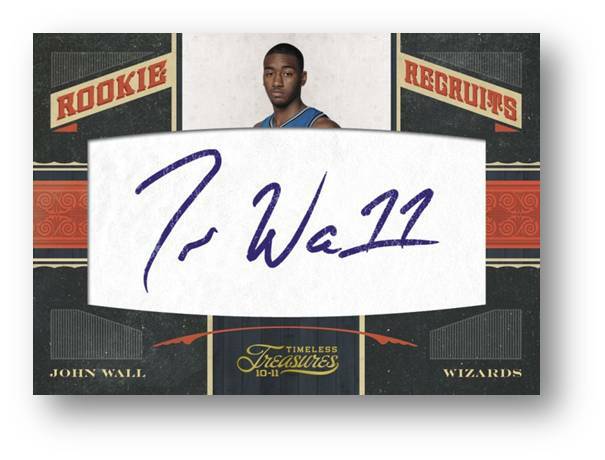 Souvenir Cuts - Rare cut autographs of the game's most influential players and coaches. 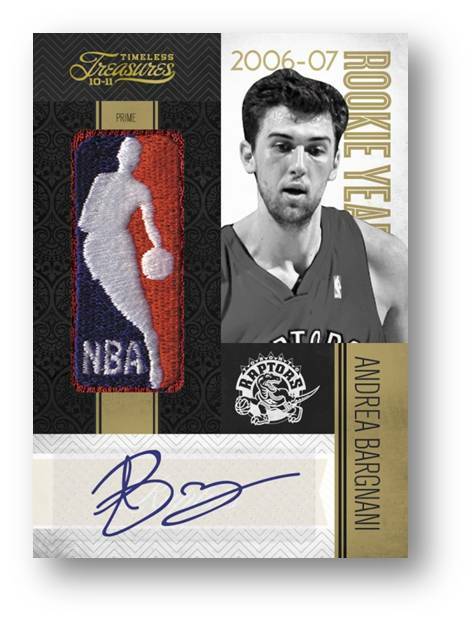 Hall of Fame Dual and Quad Materials – Combo memorabilia cards of premier players enshrined in the Basketball Hall of Fame, each numbered to 50 or less. 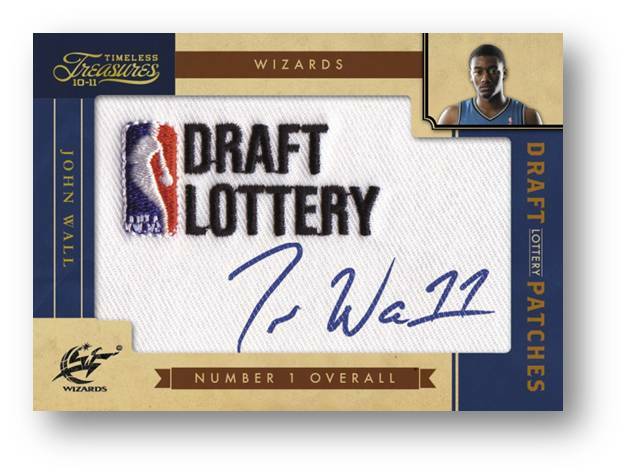 Strong selection of “1 of 1's" - includíng Team Logo Laundry Tags, NBA Team Logo Laundry Tag Signatures, NBA Logoman Laundry Tags, NBA Logoman Laundry Tags Signatures, NBA Logoman and NBA Logoman Signatures. 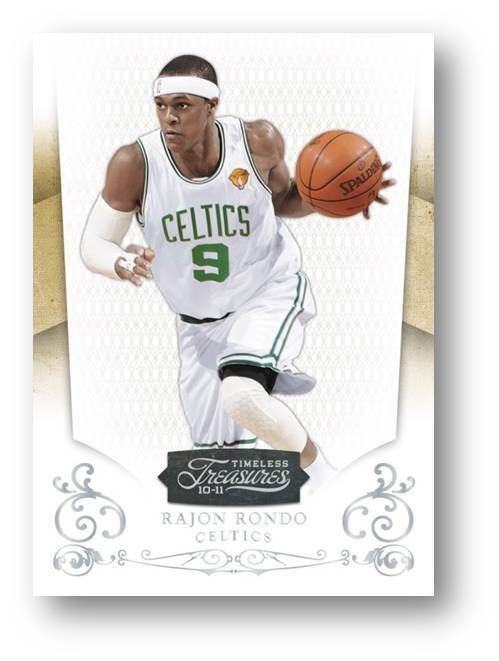 These "1' of l-s" will be featured as a base common parallel and within the following inserts; Material lnk, Rookie Year Materials, MVP Materials, NBA Apprentice Materials and Championship Season.